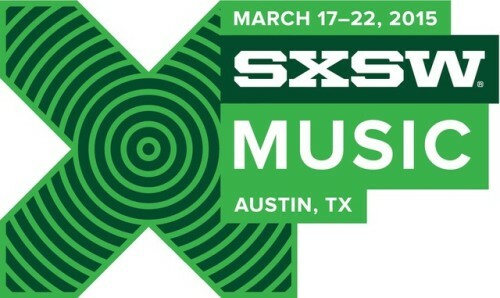 It’s that time of year again and South By Southwest (SXSW) is just around the corner! We’ve decided to bring back our “50 Acts You Won’t Want To Miss” feature, which will run from today until March 16th, the day before the Music section of SXSW begins! Check out our second installment (acts 11-20, in no particular order) of artists we think you need to check out below! For installment one, click here! *Note: some acts we’ve included are performing at South By So What?! and not South By South West. However, since the festival takes place during the week of South By Southwest, we’ve decided to still include them in our list! also be releasing their highly anticipated debut full length later this year. bigger and better things from this band. Keep them on your radar. Bon Vivants Showcase @ Half Step. band that has me on the edge of my seat waiting to see what they produce next. Licha’s Cantina; 3.20 – 8pm – Rachel Ray Party @ Rachel Ray House; 3.21 – 3pm – Noistrade @ Blackheart. – 12am – Official Play @ Trophy Club. will hate yourself if you do. Where to catch Set It Off: 3.20 – South By So What?! @ QuikTrip Park. meantime, they will be releasing a new song on the first Friday of every month. Check out the hashtag “#FoxesFirstFriday” to hear some of the new tunes. be like to see her perform live. Cantina @ Licha’s Cantina; 3.21 – 8pm – Powerhouse Party @ Peckerheads. Showcase @ Valhalla; 3.20 – 7pm – Rachel Ray’s Feedback House. Immaturity Charity Showcase @ Stubb’s. Tags: 50 acts austin colony house down and outlaws fatherson festival preview festival previews festivalpreview festivalpreviews frankie holiday mountain mideau parlour tricks set it off south by south by southwest sxsw texas the stone foxes uh huh baby yeah!